G John Power’s focus on high quality products starts with rod feedstock obtained from approved suppliers who meet the criteria for relevant production specifications. Mechanical descaling provides an integral link to wire drawing and is used whenever possible in place of traditional chemical cleaning methods. 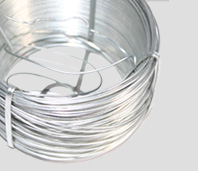 Lubrication is applied to suit a variety of Cold Heading and Wire user requirements. 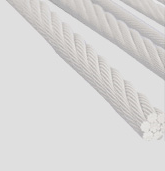 After cleaning, wire is processed through the plant in direct drawn, annealed or inter-annealed condition to produce a range of high specification products. 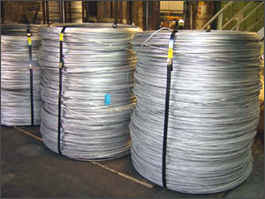 Finished drawn wire is supplied in coils up to 1000 KGs maximum. Cut to length service also available. G John Power is certified for Quality Management ISO 9001 and Environmental 14001. - We will always seek to continually improve our performance in all aspects of Safety, Health and Environmental management. - Operate this policy according to the requirements of BS EN ISO 14001.